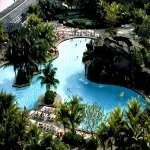 Florida Keys discounts and Key West coupons can turn your Florida Keys vacation into a mega vacation. If you can save money on fun Florida Keys things to do, then you'll have more money to spend on enjoying even more Florida Keys activities. Of course while you're on your vacation in the Florida Keys, you're going to have a long list of things you'll be spending money on. Finding Florida Keys lodging that fits your lifestyle and pocket book will top your list of things you must have. Then you'll be eating out at the many great Florida Keys restaurants, and most likely you'll want to take in some of the activities that make up the great Florida Keys nightlife. Day times will be spent enjoying a variety of activities. Perhaps you'll want to spend several days Key Largo diving and snorkeling or fishing Key West. Maybe you'd enjoy boating, jet skiing or paddle boarding. While you're out on the water you can watch the dolphin, and enjoying the colorful display of tropical fish that surround you. Other days you may want to spend on land - shopping, exploring Key West museums, or just lazing away at one of the great Florida beaches you'll find along the way. Of course most Florida Keys activities and attractions are going to cost money. But if you can take advantage of the many cheap deals and discounts available, your Florida Keys vacation dollars are going to stretch a lot further. By clicking on either the following pictures or links, you'll be able to get information on all the Florida Keys lodging options and check rates and read TripAdvisor comments. The links cover the Key Largo area, Marathon Florida and Key Colony Beach, and the Lower Keys plus Key West FL. Plus, you can save money on lodging simply by checking rates against different days to find the most affordable options and times of year to plan for your vacation in Florida Keys. The following widget from TripAdvisor makes it easier for you to find the cheapest airline tickets and accommodations for your Florida Keys vacation. Florida Keys discounts can also save you money on some of the more popular Key West activities and Florida Keys attractions. One of the great things about vacationing in the Florida Keys is that everything is fairly compact. You can start your day off in Key Largo and end up in Key West FL, then head back again if you wish. The length of the islands provide a variety of Florida Keys attractions and activities, and with local Key West discounts and Key West coupons, you can start saving big the moment you arrive. By getting tickets to popular attractions in advance, you not only save money so you can do more on your Florida Keys vacation, you're able to preplan your time so it's spent more wisely. Having the flexibility to plan ahead and pick attractions and Florida Keys activities you'd actually enjoy doing, while in the comfort of your home will make your vacation even more fun. It's important to know that some attractions don't accept credit cards. This means you will have to carry more cash, or you'll need to purchase your tickets in advance, online. The popular Key West Museum, the Ernest Hemingway home is one example of this. 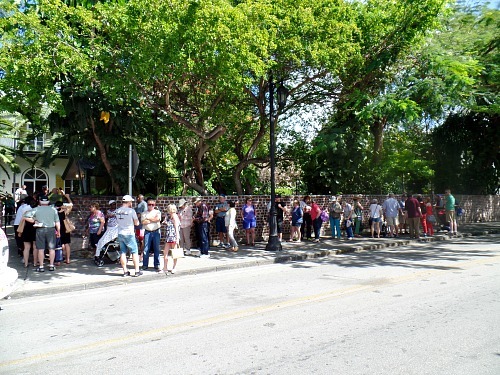 To avoid the long lineups that plagued this popular Key West attraction, the museum has stopped accepting credit cards. This has made admittance to the Hemingway House much smoother and quicker. Through Trusted Tours you can also opt for combination packages where you can get even better pricing on the Key West museums and attractions you'll be visiting. Let's face it, you'll be going to these Key West attractions and enjoying these different activities anyway. You might as well save yourself time and money and get what you want in advance and benefit from Florida Keys discounts. Key West museums definitely top the list of fun things to do. 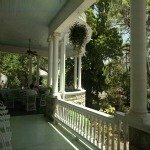 You can get Florida Keys discounts online for Mel Fisher Maritime Museum, Key West Butterfly Conservatory, the Ernest Hemingway Home, the Truman Little White House, and so many other museums in Key West. 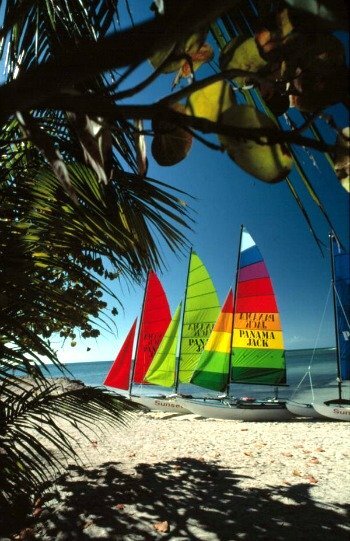 There's also Florida Keys discounts on a huge variety of Key West activities you'll want to enjoy. Don't miss out on Key West discounts for parasailing, snorkel and fishing charter tours, plus there's big savings on boat tours, sunset cruises, and trips to the Dry Tortugas. 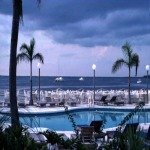 If you're planning on visiting Key West Florida for even just one day, it's worth checking out how you can save money with these online Florida Keys discounts. You'll find that by taking advantage of cheap deals and Key West coupons now, you'll save money and have even more fun on your Florida Keys vacation.